I finished up a small job today. 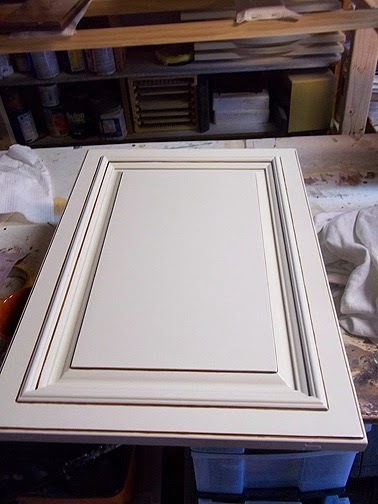 I repainted a bathroom vanity and applied the pinstripe on it. 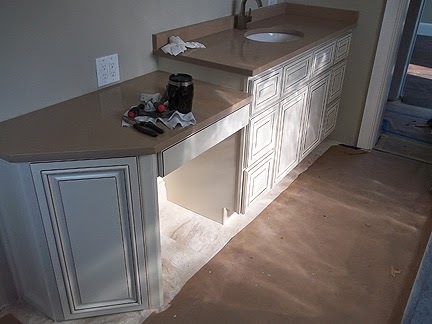 This is a home that is undergoing a major remolding and the vanity needed to be a consistent color. 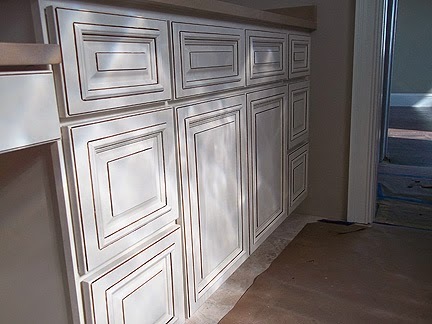 For whatever reason some of the components of the vanity were not quite the same shade of white. So repainted the entire vanity and added the pinstripe. 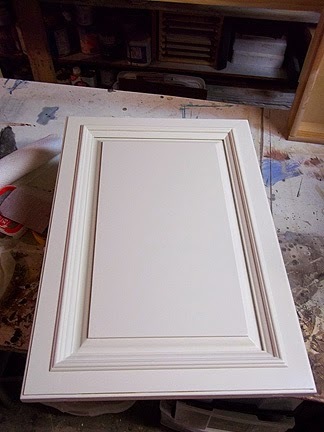 Here is a photograph of one of the doors without the pinstripe and then a photograph with it. The vanity put back together. How did u get the pinstripe so perfect!?! I used a marker. Sharpie has some nice ones but if you have a local art supply store you might find a better selection there. What a great idea! I have struggled with brushes and perm squirt bottles. You are awsome! Please keep sharing your beautiful work!